Omotepe is an island, in the middle of a lake, in the middle of an isthmus, between two oceans. Or maybe it just seems that way to me. 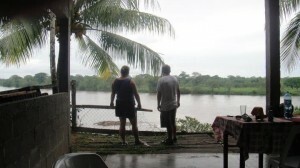 You have to take a ferry across Lake Nicaragua to get there, although construction is underway for an airport. The island feels like a different world, certainly compared to Granada or Managua. There are fresh-water sharks in the lake, and monkeys and birds all over the island. There are volcanos as well. To make things even more unique there are fascinating petroglyphs around the island, including a collection in the yard near the church, and a hillside museum and hiking trails that every taxi driver offers as a tour destination. There are great places to eat and stay in Omotepe. 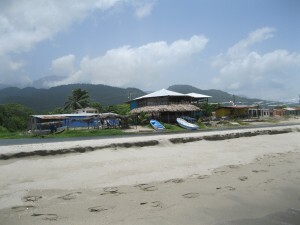 There is the Charco Verde, a hotel, restaurant, and beach close to the port where the ferry comes in. 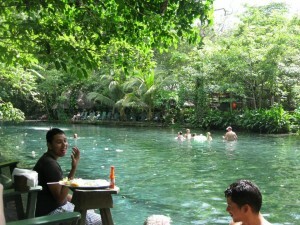 The Charco Verde is also a local feature, a green pool located nearby in the mangrove forest. It makes a great place to visit and explore. 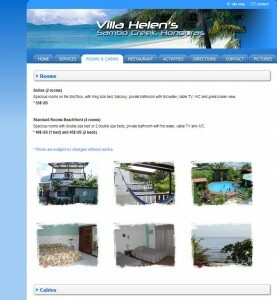 The Hotel Villa Paraiso is also cool, with its own restaurant and beach. 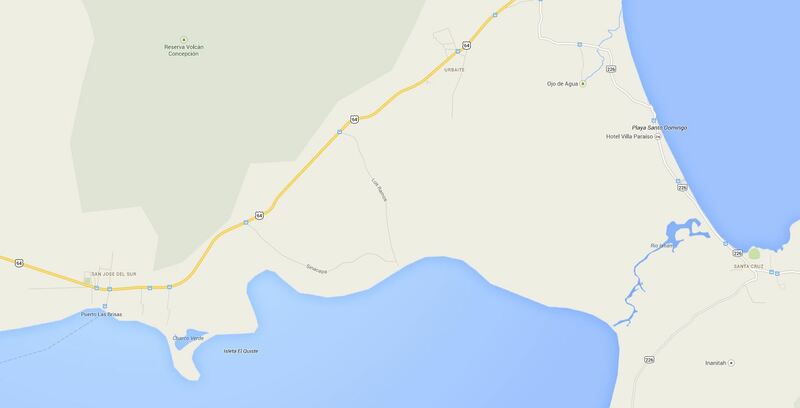 It is a little farther down the road. 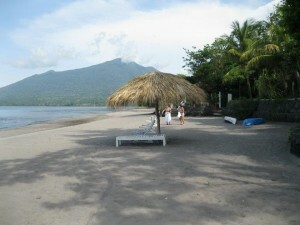 The beach at Villa Paraiso, with the Volcano in the backgroud. An amazing place to spend a night or two. 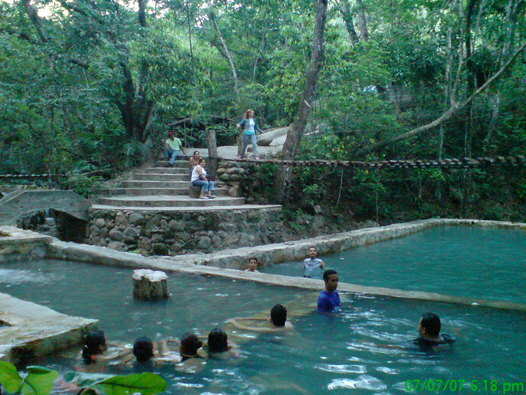 Ojo de Agua is a small spring that has been turned into a balneario or a swimming pool. It has beautiful clear water in a lush jungle setting. 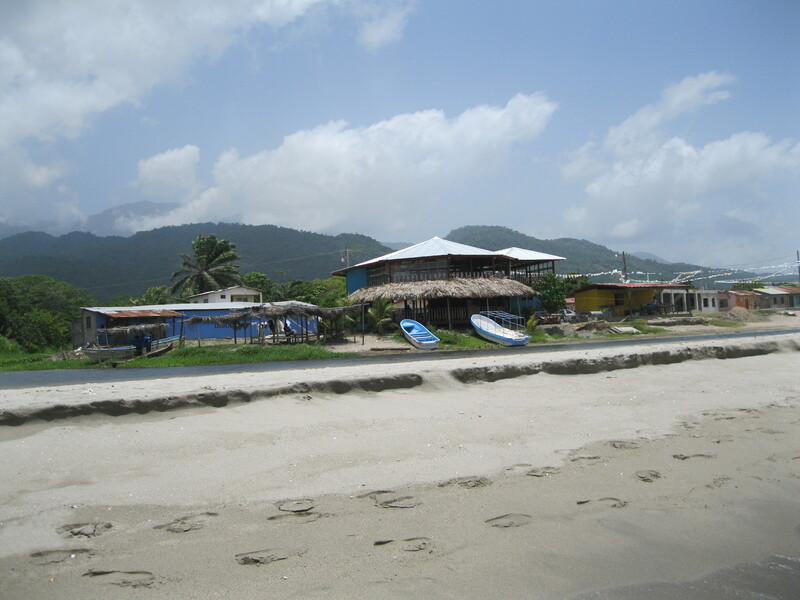 It usually has lively groups of tourists and locals. There is food available, so this makes a great place to spend the whole day, or just to stop for dinner. When you swim in the pool, you are in the Ojo de Agua, on an island, in a lake, in an isthmus, between two oceans. It can get pretty heavy on the existentialism so it is good that they serve Toña at the little dinner shack. The Lodge at Pico Bonito is a luxury eco-resort just outside of La Ceiba, Honduras. It is located at the foot of Pico Bonito, the highest point in Honduras, and it is surrounded by nature preserves. On site they also have a butterfly facility and serpentarium. This is one of the most beautiful places on earth. Definitely a great place to spend one night, or many more. It is a little pricey, but luxury and eco-friendly don’t come cheap. The unique setting and features make it well worth spending on, even if it is just for one night. You can also visit and use their trails for a fee, or eat at the restaurant. 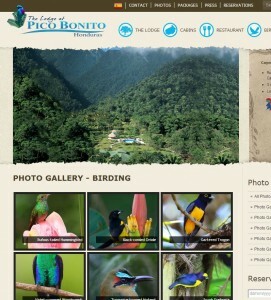 The grounds are stunning, and set right into the gorgeous Pico Bonito National Park. Actually, after reviewing the website, I have to revise my statement about it being expensive, because I see that they have economy rooms for students and researchers for $60. Their bigger packages are also pretty economical, because they include food (in the beautiful restaurant) and transfers and activities. I could easily spend six or eight days just at the Lodge, and visiting their surrounding trails, or their learning environments. Or the pool, or a good book in the shade of a tropical forest. Granada is one of my favorite destinations in Central America. It is a medium sized colonial town, so there are plenty of services and activities, but it definitely doesn’t feel like a city. 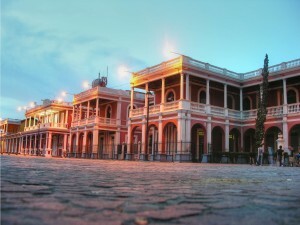 There are great historical attractions throughout the town, including colonial architecture. Granada is a town focused on tourism, since it is located on Lake Nicaragua, and is just about an hour from the capital city of Managua. 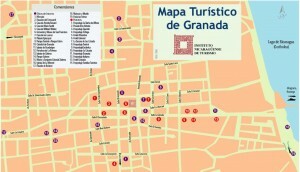 Lots of Nicaraguan tourists visit Granada. There are volcanic isletas or small islands that are scattered around in Lake Nicaragua. By taking a tourist boat from the dock on the East side of Managua, you can visit restaurants, hotels and uninhabited islands, or swim in the Lake. 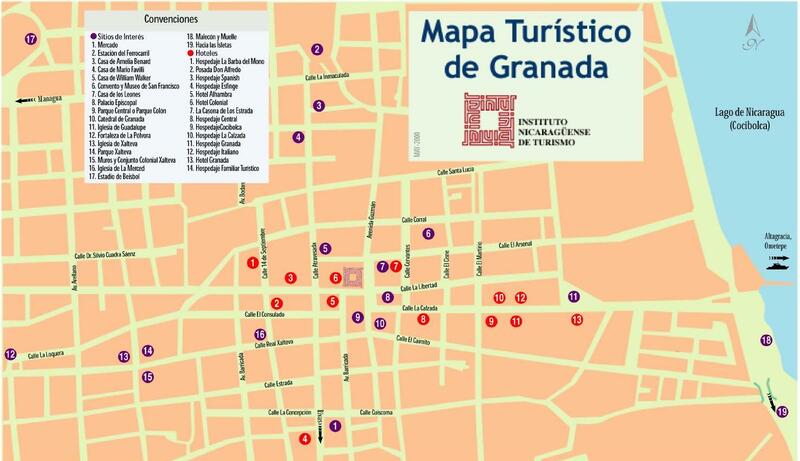 There is a lot of history and culture in Granada (birthplace of Ruben Dario). One activity I recommend is Spanish School at Casa Xalteva. 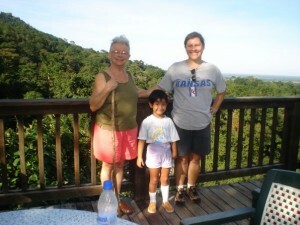 They can also arrange homestays with families. 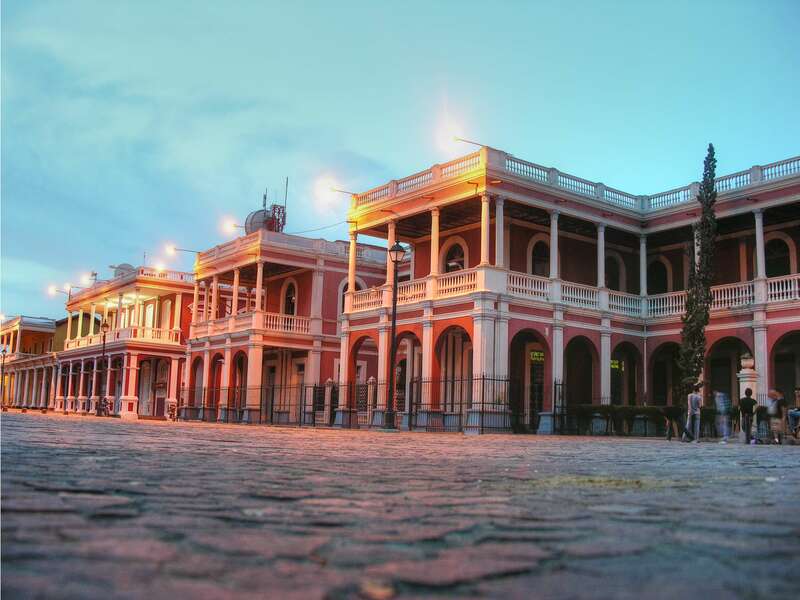 Granada is a great place to spend a night (or many nights) because it has a great combination of outdoor activities (boating, lakes, volcanos to hike), and indoor activities (viewing historical architecture, or watching cigars being made). There is also a great night life on Calle La Calzada in the evening, to finish off a perfect night in Central America. Copan is an incredible place. The Mayan Ruins at Copan, Honduras are unique, even for Mesoamerica. They are very detailed and contain many hieroglyphs, including a famous part of the city, the historical Stairway, embellished with the history of the Mayan dynasties carved in the stone steps. The Stairway and Ballcourt at Copan both appear on the one Lempira bill of Honduran currency. Instituto Hondureño de Antropología e Historia, Tegucigalpa, from a 2006 Conservation study). So, from the very start, if you are going to Copan it impresses everyone, because it is a journey of illumination and wonder, an educational trip. You must see the ruins, and it is best to take a guide along with you. 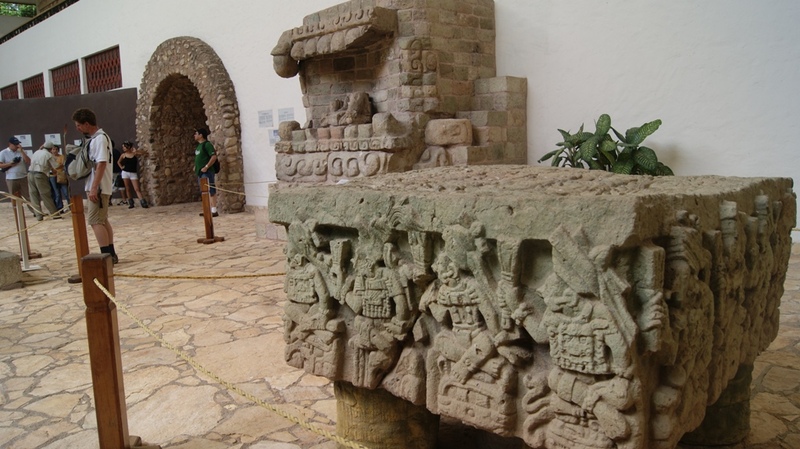 Many of the writings have been decoded over years of study, and the guides can point to important details or give background information on the major components of Copan. You can cover the territory of the park in half a day easily, but if you spend time with a guide or with a good guidebook, you could easily visit the site of the ruins 2 or 3 times, and not see it all. There is a large museum at the site of the ruins. The actual town of Copan Ruinas is about 2 miles further down the road. On a nice day, the walk is great, there are stellae or stone carvings at several places along the way. In town there are also 2 museums about the ruins. Copan Ruinas, the actual town, has traditional cobblestones and a plaza in front of the park. It is a small town, just big enough to support the thriving tourist industry that has grown around the ruins. The locals are often Chorti maya descendants, or other Latinos, and they have a “country” feel. You will see plenty of mules and horses, and cowboy boots and hats. In fact, horse back riding is one of the many activities that are available in Copan. The city and the tourism industry in Copan work well together too. You may or may not notice the strict zoning and color restrictions in the historic zones, that give the town a sense of timelessness. There is a lot of collaboration among tourism operators as well, and generally you can book tours from your hotel, or from a small tour provider, and get the same tour from different providers. There are so many fun trips around Copan, it is hard to choose. There is a hot springs, and a river that runs hot and cold, which requires a ride in a van or pickup to visit. There are several smaller sites of ruins around, and many operators take horseback tours of outlying stellae, including a daybreak tour to an important Mayan monument to the sunrise. 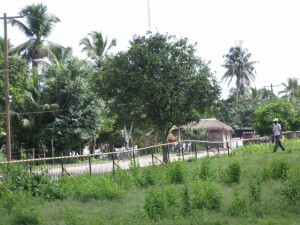 Copan has a wide variety of hotels, hostels, and other places to stay. 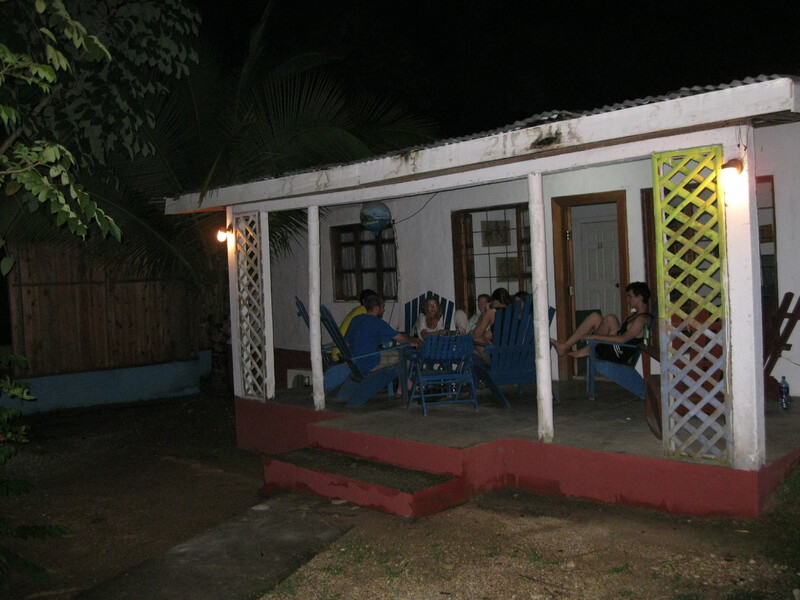 If you are looking for a cheap stay, the Manzana Verde hostel is a good standby. I would profess to having higher standards than to stay in a hostel, but sometimes when you get into town late at night and its raining, and you are just ready for bed without the whole hotel scene. If you want a hotel there are several choices. I love Don Udo’s, have loved his places since he was in San Pedro. Nice $50 rooms, international standards. There is also the historic Hotel Marina Plaza. This place is really old school charming, around a beautiful courtyard and pool. 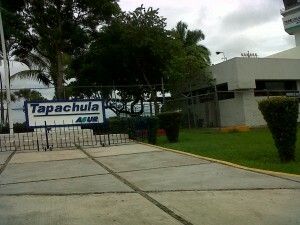 It is the Honduras version of the 1970’s Holiday Inn. It is right on the plaza as well, and next door is the fancy coffee bar. Around the plaza there are about ten other hotels ranging from $20-$80. The better rooms are going to have internet and water and power, and amenities designed for American and Eurpoean luxury tourists. A cheaper room might lack any of those things at different points in your trip. If you walk through Copan and get a map, you will find multiple other options. Many homeowners in Copan take in boarders for Spanish school, and the schools might help you find a homestay. There are countless tiny family run boarding houses or posadas. Always check the room carefully first and make sure you feel safe and comfortable. The food in Copan is also very unique and easy to enjoy. There are tiny Pupuserias, which serve pupusas, a hot fried tortilla with cheese and beans or sausage inside. This is a typical food of Honduras, and some of the more traditional establishments might also have atol corn drink or other traditional foods. Some Mayan specialties are served in the traditional restaurants of Copan. There are also larger places to get tipical food of beef, pork, beans and rice, or chicken. The big tourist industry in Copan has attracted many foreign residents who own hotels and restaurants, so you can also get some fabulous niche Honduran Italian food or French cuisine. There is no reason not to go to Copan. You will be busy day and night, walking and seeing new things on the cobblestone plaza, and learning about our ancestors in the cool jungle. You could actually spend several nights here.